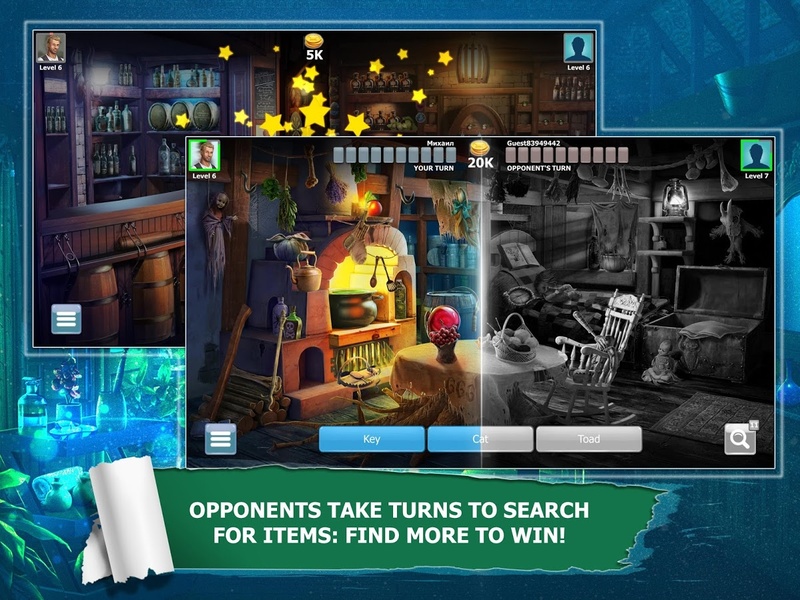 Hidden Object Battle takes seek-and-find gameplay to next level with real-time multiplayer. Players take time-limited turns to find hidden objects on the same scene. Each finding counts, and first contestant to fill up his counter wins. The items are presented as a word list or silhouettes and only come 3 at a time. Victory brings players coins and XP, while after losing a player has a rematch option. XP system helps to find a fair match for players according to their skill level. Beginners may practice playing against a bot. As a player progresses, he unlocks new hidden object scenes, with more coming with updates. Every HOS implies a certain bet amount. 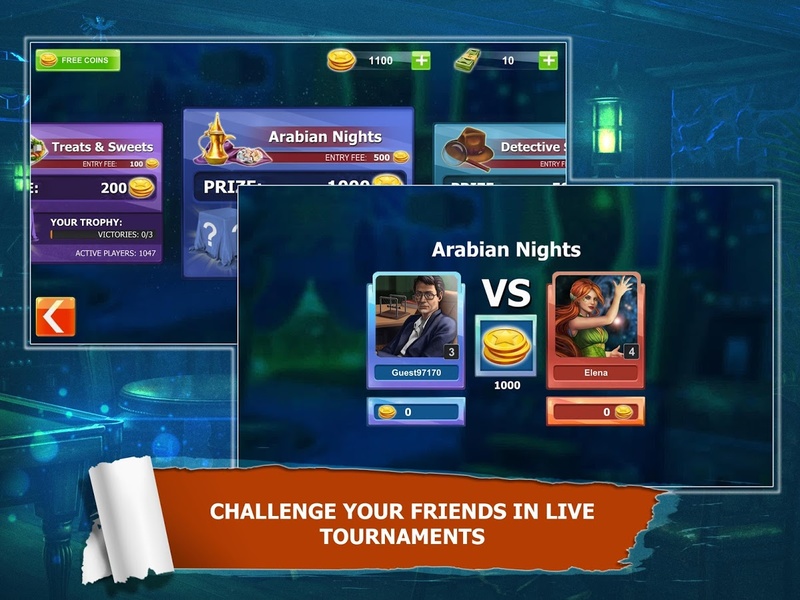 Rewarded video and daily/hourly bonuses help unlucky players earn enough for next match.